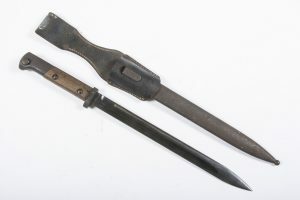 Nice near mint original K98 bayonet frog in chocolate brown leather and marked LBA(S) and Fried Schafer Ulm/Do 1938. 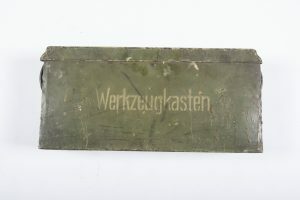 Nice original wooden Panzeschreck ammunition box in very good condition with still up to 90% of the original tan factory paint and stenciling. 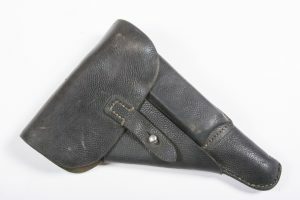 A textbook pre war P08 Luger holster in very good condition. 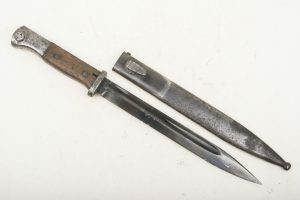 Nicely marked Gebrüder Klinge Dresden 1938. 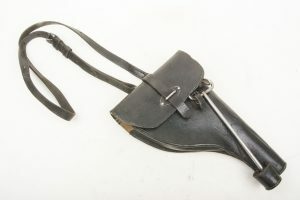 The holster is complete with all loops, straps and buckle. 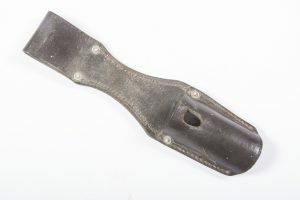 The leather is supple and not dry. 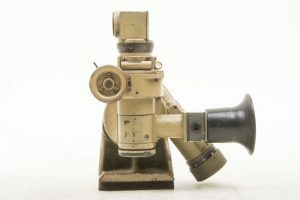 Hard to upgrade pre-war piece! 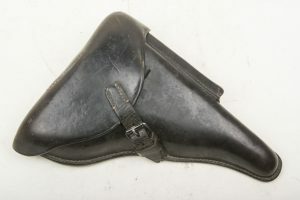 Typical black late war holster for the CZ27 pistol in pebbled leather in good used condition. 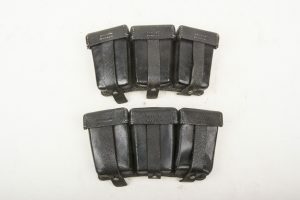 A nice matching pair of MP38 u. MP40 magazine pouches marked Otto Koberstein Landsberg 1942 indicating production by Lederwerk Sedina Joachim Schell, Sportartikelfabrik, Finkewalde Bez. 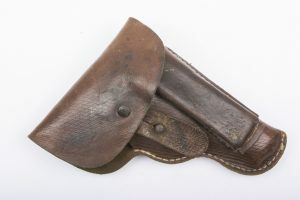 Stettin. 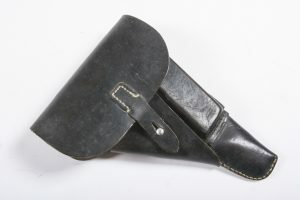 The pouches are in good used condition as pictured! 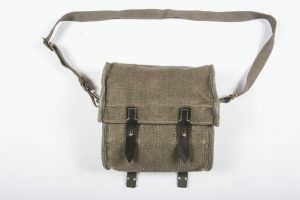 The leather on the pouches is supple and the canvas is strong. 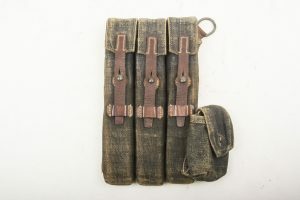 One of the pouches was most probably on top hence the slight difference in aging. 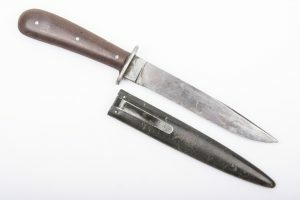 A great set for a combat mannequin! 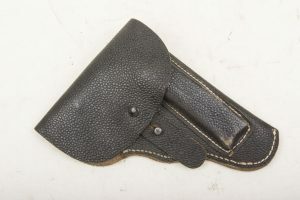 A very nice named soft-shell P38 holster in good used condition. 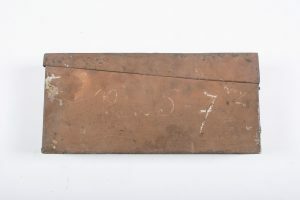 Marked CXB 4 indicating production by Moll, Lederwarenfabrik, Goch, Rheinland. 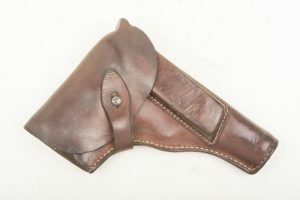 This soft-shell holster is in good used condition and named H Wesselmann and with he Feldpostnummer 59327. 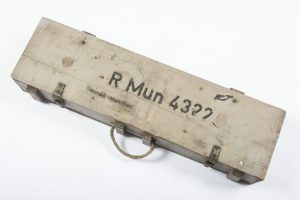 Nice original late war MG34 and MG42 tool case or Werkzeugkasten. 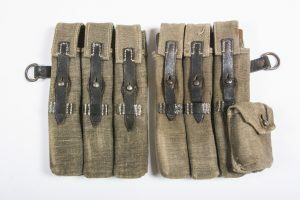 These boxes where issued within every unit for the maintenance on the machineguns. 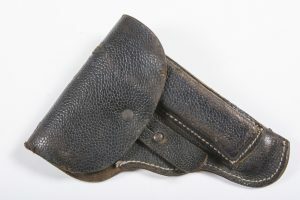 The case still retains up to 95% of its original finish. 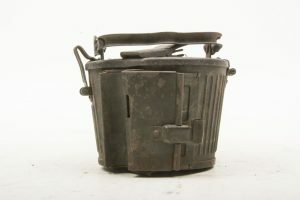 Dark tan camouflage painted Ammunition tin for the MG34. 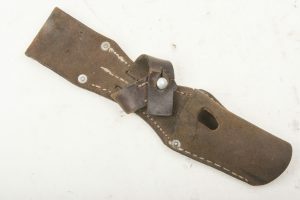 The box is handpainted in a typical orange / tan colour as used by the Afrikakorps. 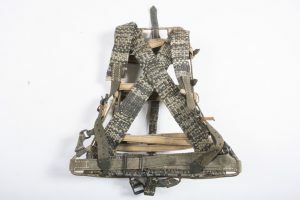 The box retains most if not all of its original camouflage paint and a handpainted weapon serial on the side. 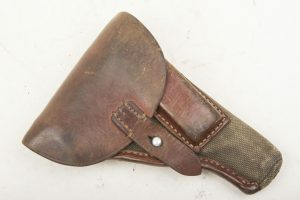 A very nice P38 softshell holster marked jwa 4 indicating production by Moritz Stecher, Lederwerk, Freiburg in 1944. 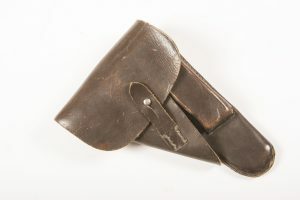 The holster is in mint condition and would be very hard to upgrade! 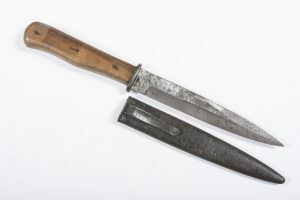 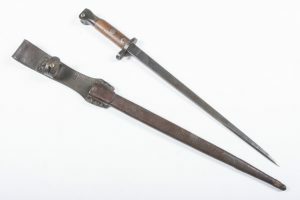 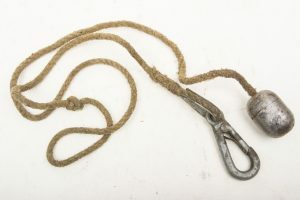 Nice matching original Hembrug bayonet in very good, lightly used condition. 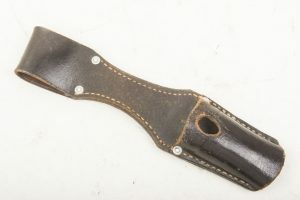 Still retains most of the original blueing and the leather is nice and supple. 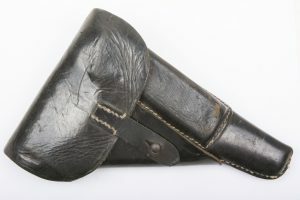 The scabbard matches to the blue and are in equal original condition.